Coming into effect on 20th March this year, the Homes (Fitness for Human Habitation) Act 2018 aims to increase standards for properties in the private rental sector and, for many landlords there should be little new to do. However, landlords should be on their guard as there is the potential for landlords to find themselves subject to court action from tenants, for breach of contract, should a property not meet required standards. Andrew Turner, chief executive at specialist buy to let mortgage broker Commercial Trust Limited, looks at what the new legislation means for landlords. The Act, amends the Landlord and Tenant Act 1985 and the Building Act 1984 and will initially impact new and renewed tenancies or fixed-term tenancies in England from March 20th, 2019. It will affect all landlords or agents acting on their behalf. But landlords (and agents) should be aware that it is likely the legislation will be extended to cover all periodic tenancies from March 20th2020. I would therefore recommend all landlords assess the condition of their rental properties and address any issues sooner rather than later. The legislation has been brought in to help raise living standards in the PRS. At the time of writing, the Housing Health and Safety Rating System (HHSRS) is under Government review and will help to define what ‘fit for human habitation’ means. There are a number of housing issues being looked at, including repair work, stability, levels of dampness in the property, internal arrangement, how much natural lighting there is in the property, the amount of ventilation, the quality of the water supply, how well drainage and sanitary conveniences work, what facilities there are for the preparation and cooking of food and for the disposal of waste water and Hazards under the Housing Health and Safety Rating System. Under the new rules, a home needs to be regarded as significantly defective in one or more of the above areas, in order to be considered as unfit. The Act states: “the house shall be regarded as unfit for human habitation if, and only if, it is so far defective in one or more of those matters that it is not reasonably suitable in that condition”. Landlords could find themselves forced to carry out improvements and could be subject to compensation claims. There is the possibility that a landlord could be sued for damages, for the full duration of the contract. A judge will ultimately make the decision on whether or not this is the case. If a problem arises in a rental property, there is an expectation that the tenant will notify the landlord, in order for any issue to be repaired within a reasonable timeframe. In this sense, the current landlord obligations will not change. So in the case of joint tenancies, a landlord will need to be made aware of a defect during the tenancy, by the tenant. The landlord must then respond within reasonable time frame to fix this issue. When the property is rented out on a per room basis, for example if it is a shared property or House of Multiple Occupancy, the landlord’s obligation is instantaneous, from the moment the defect occurs, regardless of whether or not the tenant informs them. The landlord will again be obliged to remedy the issue within a ‘reasonable time frame’ which would be determined by the nature of the problem and potentially external factors. 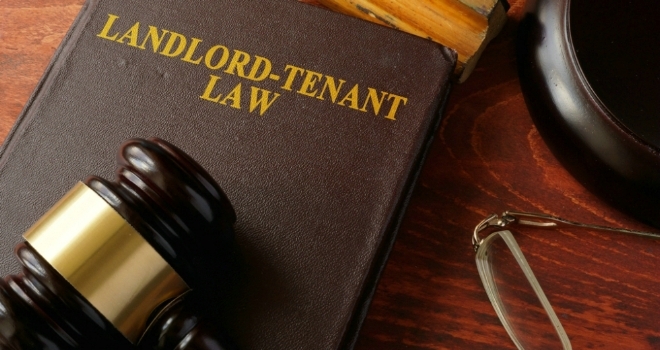 Whilst the landlord will be responsible for addressing issues in most cases, the Act does not make landlords liable for damage or disrepair caused by the tenant’s conduct. Furthermore, the landlord will not be expected to rebuild or reinstate a destroyed building or to carry out works which are the responsibility of a superior landlord, or where it is not possible to obtain necessary third party consent. The majority of landlords will not need to do anything, if they are maintaining a property in good condition, so long as they react appropriately, should a defect be reported. The law may have more significant ramifications where the landlord is responsible for a regulated tenancy, where repair and modernisation are restricted by the presence of a sitting tenant. To understand the full implications of the Homes (Fitness for Human Habitation) Act 2018 speak to your landlord association, letting agent, or a property solicitor. Which are the most uninhabitable London boroughs for renters?